Eric, Tracey, and their two sons Sam and Simon. 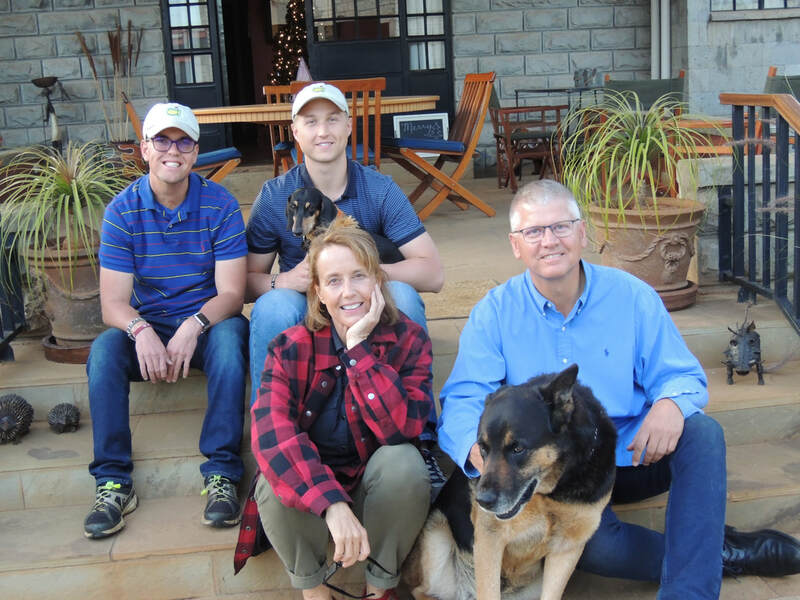 The Hagman family has lived in Kenya since 2002 and founded Heshima in 2008.They are originally from Minnesota and they definitely do not miss the cold! Although, Eric occasionaly mentions having fond memories of his snow blower. Sam and Simon, loved growing up in Kenya and Sam plans to come back one day to practice medicine. Sam graduated from U of Florida in 2015 and is currently attending Medical school. Simon graduated from West Nairobi School in 2015 and continues living in Kenya and works alongside his parents at Heshima. Simon was born at 22 weeks; 4 months premature. He sustained multiple heart attacks during the first year of his life and is a testimony of God’s healing. Eric and Tracey have a passion to provide dignity for families that otherwise are treated with disdain because of their disabilities. God has done great miracles in Simon's life and there would be no Heshima without him. Simon in the masai village at the of age 5. Simon preachers daily to the Heshima family and feels called to be a pastor.